As you know, in May of 2010 our family first walked in the Pancreatic Cancer walk while my dad, John Pavela was being treated for pancreatic cancer. At that time he had completed a successful whipple surgery and was just starting chemo. However, as fate would have it, the cancer beat him and we lost him on October 24th, 2010. On Saturday, June 29th, we will be walking the PanCan walk again. Initially I had joined this walk to honor my father and his courage. He showed such great hope and strength during the last 8 months of his life. I need your support to fight a disease that will kill more people than breast cancer this year - yet awareness remains low in communities across the country. 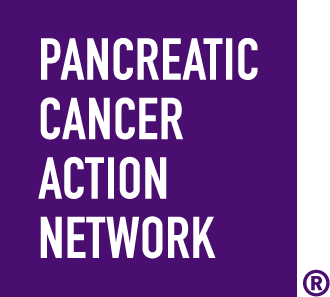 Your gift will support the Pancreatic Cancer Action Network's world-class programs that are changing lives for all those affected by pancreatic cancer through research, advocacy, patient services and much more. I'm participating in PurpleStride because I want to join the fight and make a difference. On event day, I'll be striding with my family and thousands of other people impacted by this disease. I want to walk and remember my Dad. And I would be happy if you would remember my Dad on that day too. Please say a prayer for him, or hold a good thought for our family, or remember a good time you had with him. Your donation will help fund research, provide support for patients and caregivers, and most importantly create hope! Whatever amount works for you. As they say, every penny counts. And joining us for the walk is great too! PurpleStride Chicago 2019 is on Saturday, June 29th. Event day registration opens at 8:30 a.m. So many of you were there for our family during what was our most difficult time. Your kindness will never be forgotten nor taken for granted. Thank you for your love, friendship and generosity.